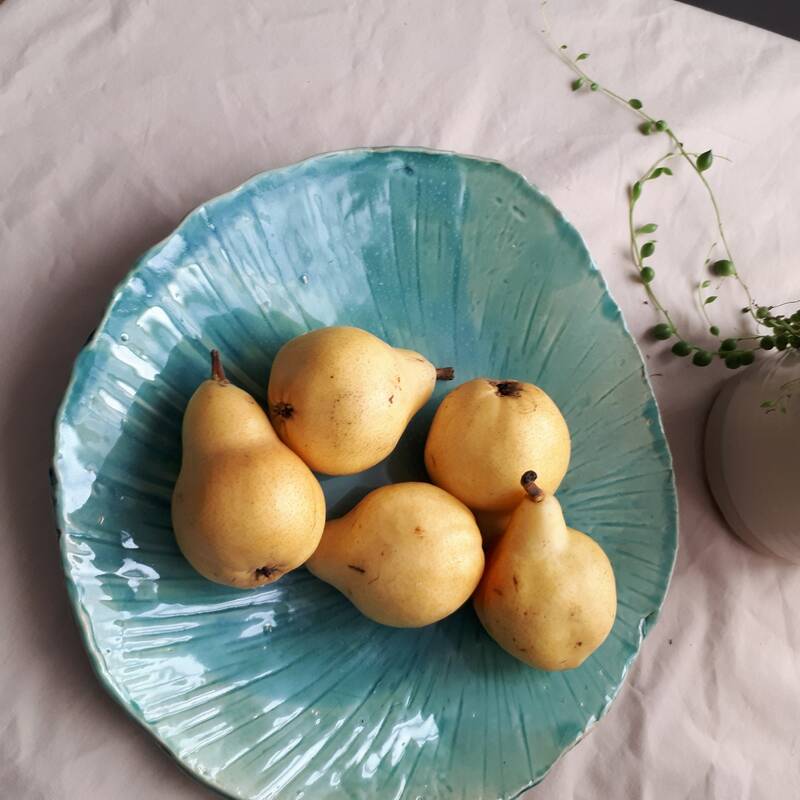 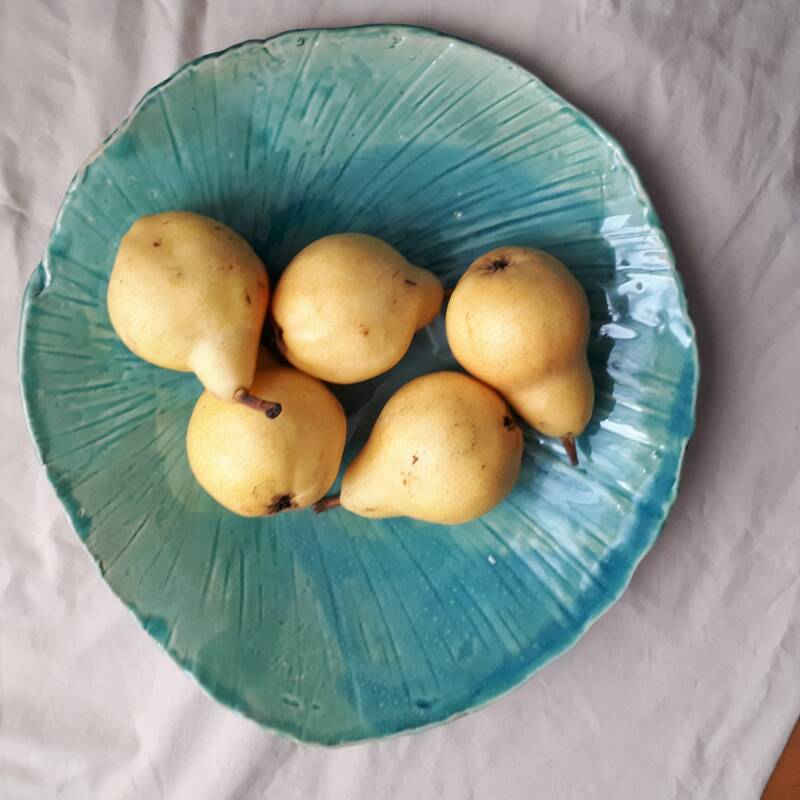 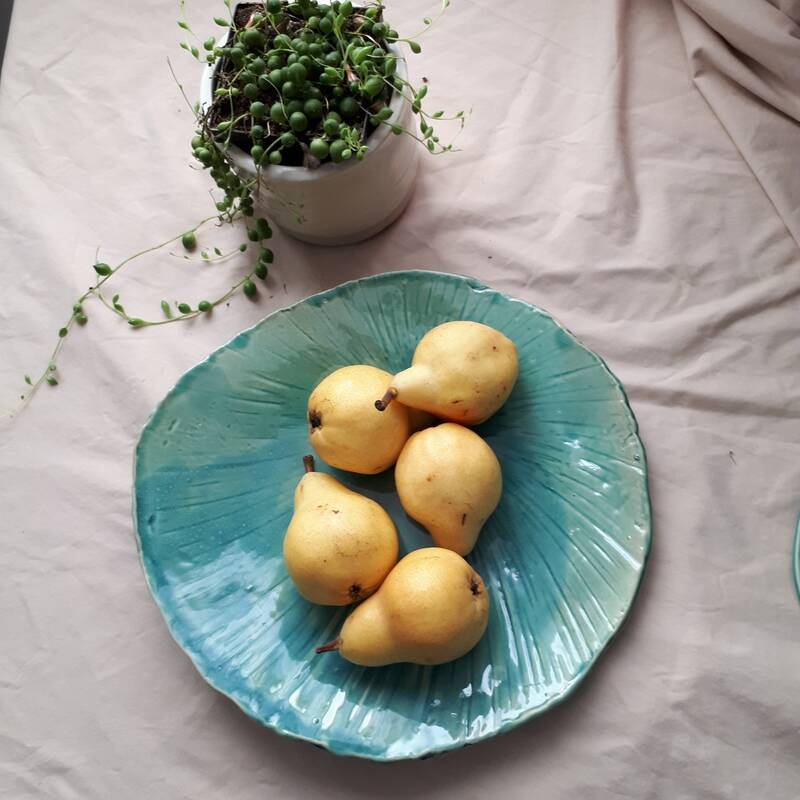 Pottery Handmade Fruit Bowl Shell Design turquoise, teal, azure made for, beach lovers delight for home decor. 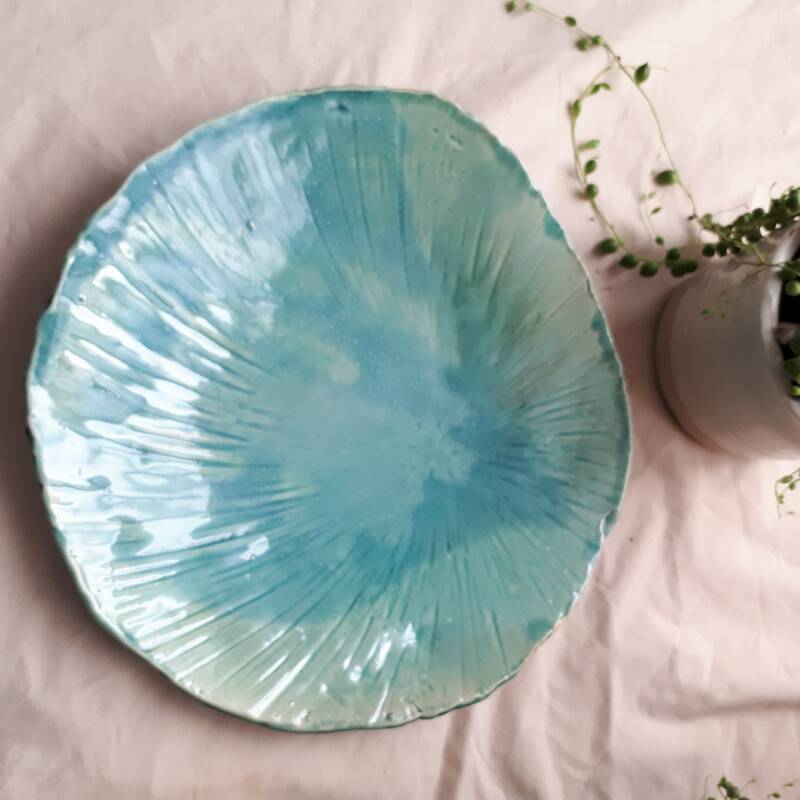 It is made from highfire clay on the wheel and glazed in a food safe glaze combination. 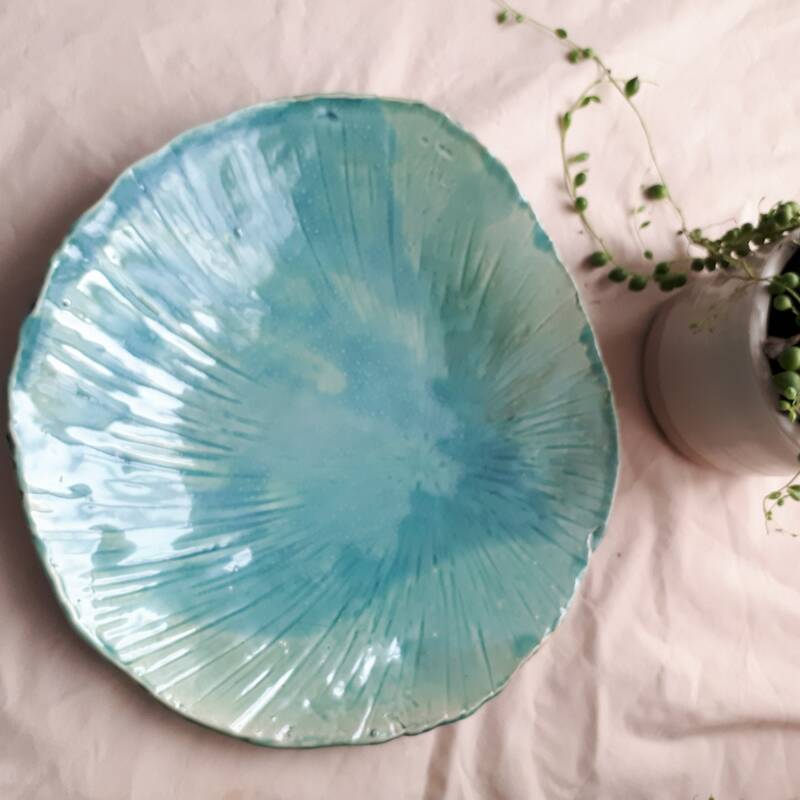 all my pieces are meant to be used, and made one at a time.